With Hillary Clinton poised to capture the Democratic presidential nomination, Donald Trump wants to win Bernie Sanders’ voters over to his side. On Thursday’s “Late Show with Stephen Colbert,” cartoon Donald Trump showed us how he is going to do it. That’s why he brought cartoon Trump back to the show to explain just how it could be done. Cartoon Trump doesn’t think it’s a challenge that Sanders supporters hate him. But what about the issues? 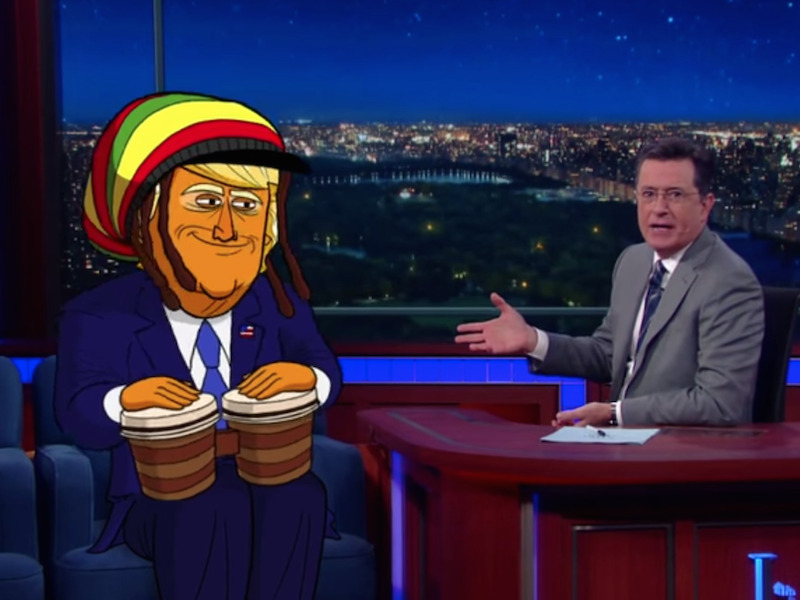 Colbert reminded cartoon Trump that Sanders supporters steer young and liberal. And as for Colbert pointing out that Sanders has socialist leanings, cartoon Trump didn’t feel that would be a problem, either.